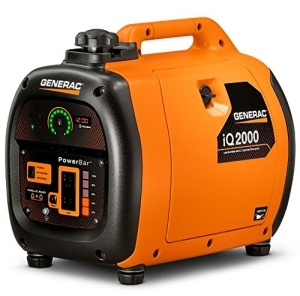 Quiet Portable Generators - What is the Quietest Generator in 2019? So you are one of those people looking for a super quiet generator for camping, RV, emergency home use or perhaps an outdoor event. There are plenty of models to choose from but… which one is the quietest portable generator on the market? In the following buyer’s guide, I explain everything you need to know before buying a really silent generator. I also introduce the 10 quietest models and briefly review each of them. UPDATE 24.03.2019 – due to the recently detected manufacturing defect resulting in fuel leakage problems and potential fire hazards Honda is recalling 200,000 generators sold before February 2019. These include the models EU2000i, EU2200i and EB2200i. We temporarily advise NOT TO purchase Honda EU2200i until the manufacturer fully confirms this issue has been resolved. We recommend having a look at WEN 56200i instead. 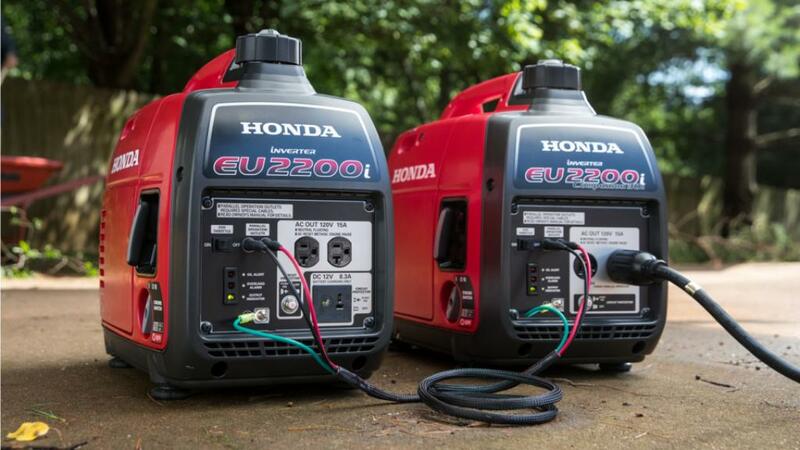 Honda EU 2200I is the newer version of the very popular EU2000I inverter generator. (Click here to learn what an inverter generator is). It maintains the same features which made its predecessor a desired choice such as high-quality Honda engine. The main improvement is the higher running wattage – increased from 1600 to 1800W. The noise levels and the price remain the same, which is a really great thing. 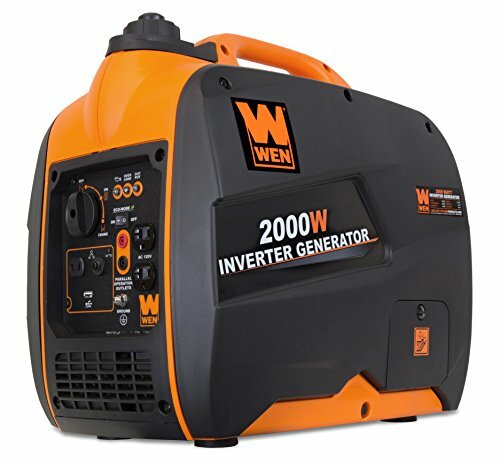 In my humble opinion, it is one of the best and quietest inverter generators on the market. The noise level is only 49 decibels at 25 % load. This means the amount of noise this generator emits during normal operation is comparable to a lively conversation involving a few people. EU2200I has got a powerful Honda GXR12o engine that has a 0.95-gallon petroleum tank capacity. Depending on the load it can run for up to 9 hours on one tank of fuel. This super quiet inverter generator is compact and small and capable of generating reliable, clean power. You can also use it in conjunction with another inverter to double the power. Honda Oil Alerts system is in place to shield this power equipment for outdoors. When the oil gets dangerously low, the generator will turn off. It has a circuit protection mechanism preventing the circuit from overloading during operation. This generator is a pull start type that is easy to use and maintain. High quality comes at a higher price. However, I honestly believe this generator is totally worth its price tag. In the following video you can see how Honda EU2000I performs against its main competitor – Yamaha EF2000iS. Honda EU2200I is exactly as quiet as EU2000I but provides more wattage than each of the generators in this clip. 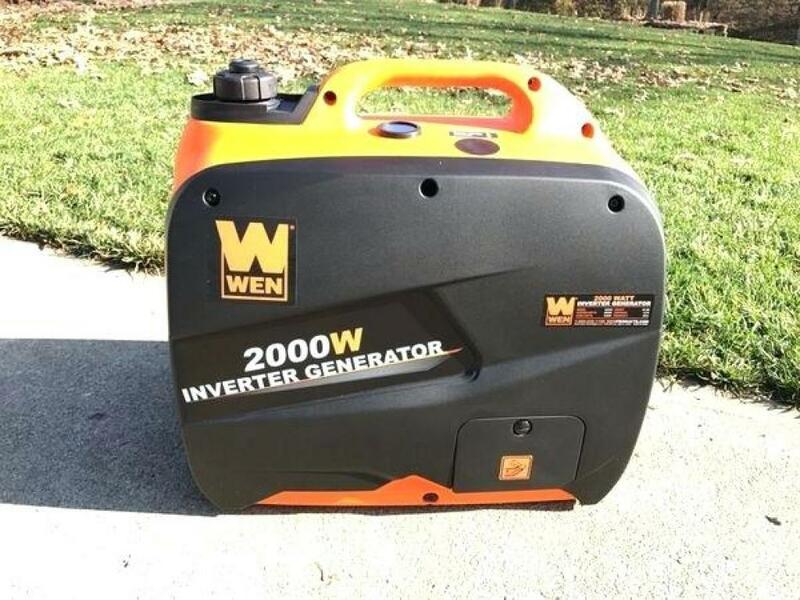 WEN 56200i inverter generator operates very quietly and is similar to an everyday conversation. It makes clean energy that is free of voltage drops and spikes without creating all of the noise of a normal generator. This unit generates 1600 running watts of power and 2000 surge watts. Our 79.7 cc 4-stroke OHV engine functions at a very quiet fifty-one decibels at a 25 % load. This is quieter than an air conditioner for a window or a normal conversation. This regulates its intrusiveness while restoring back up power, tailgating, camping or hunting. Invented to emulate a pure sine wave, this generator confines total harmonic distortion to below 0.3% at no load and below 1.2% at full load. This makes it safe to operate vulnerable electronics, tablets, monitors, cell phones, and laptops. The design makes the unit portable while the efficient one-gallon tank can run for up to 6 hours at 50 % load. This comes equipped with one five-volt USB port, one 12-volt DC receptacle and two three-prong 120V receptacles. This eco-mode throttle permits the generator’s motor to adjust automatically to the fuel depletion as articles are unplugged and plugged into the panel. This prevents the unnecessary usage of gasoline. This WEN product comes with a 2-year warranty that is backed by a nationwide network of expert service specialists and a friendly consumer helpline. 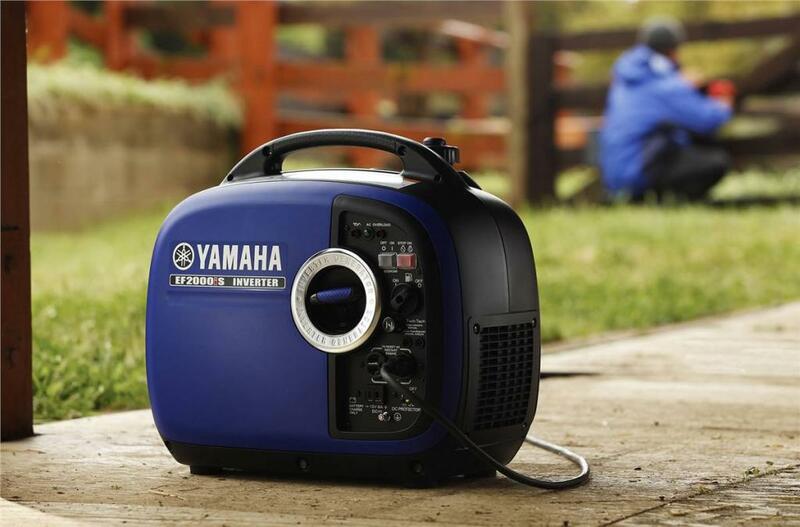 The Yamaha EF2000iS Gas-Powered Inverter Generator distributes the most electrical output with no sacrifice in portability. It operates at 1600 watt rated AC output with 2000-watt maximum AC output. The noise level is only 51.5 decibels at 25% load. This is one of the silent generators that use an inverter system. It can operate for up to 10.5 hours with no refuelling. It is a very handy model that is easy to move and store. The EF2000iS is fuel-efficient and dispels heat efficiently, allowing for optimum fuel consumption. One of its highlights is a dual coil alternator stator that reduces the speed of the engine and cuts back on fuel consumption. It has a central, convenient control panel that permits the user to access all of the highlights at the push of a button. It is also very easy and quick to start because of auto decompression system that makes start up easy. 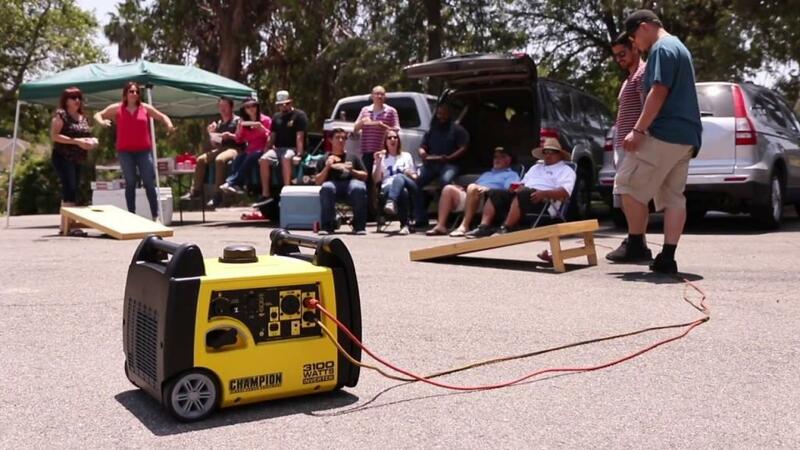 Smarter Tools STAP-2000iQ is a super quiet portable generator equipped with a Yamaha MZ80 engine. It has the best compliance ratings for CARB and the EPA. Sinewave technology makes this generator appropriate for running sensitive electronic devices such as a laptop computer. It features an extra quiet muffler with a USFS approved spark arrestor that is on fifty-one decibels and it eradicates stray sparks. It can operate in conjunction with any other AP-2000iQ for 3000 sustained running watts. 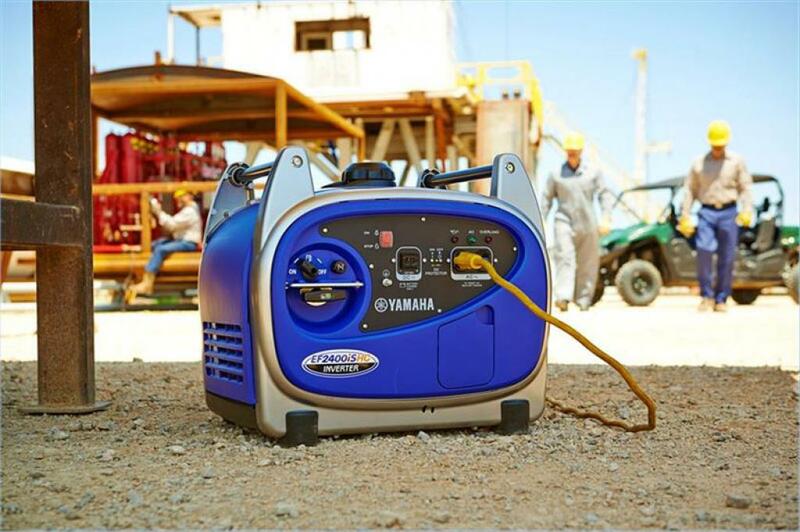 The Yamaha powered Smarter Tools AP-2000iQ inverter generator is easy to use and lightweight. It has a lot of great features such as a self venting gas cap, LED indicator lights, easy access oil fill door, USB charging outlet and a fuel gauge. The AP-2000iQ is the perfect source of power for outdoors. Some extra features include a fuel petcock and a twelve-volt charging outlet. 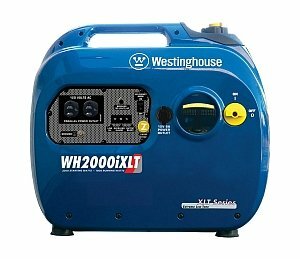 Westinghouse WH2000iXLT offers a Westinghouse 4 stroke 79cc OHV engine. It has an economy mode and a reset for AC overload. The generator has touch points for the user that are color coded and it also has an automatic shutdown that occurs when the oil is low. You can use it with sensitive electronics because it has less than three % total harmonic distortion or THD. This very quiet generator has run time with a 25% load of 22 hours and a run time with a 50% load of 13 hours. This model comes with a 2 year warranty. 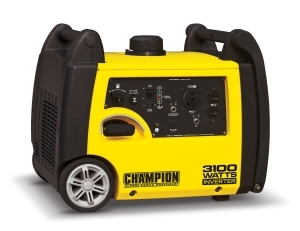 This is one of the the quietest portable generators on the market. It is easy to carry and offers efficient, clean power for all of your recreational needs. You can read more about it in this detailed review. Yamaha EF2400iSHC inverter generator has a heightened motor starting ability and an enhanced air conditioner starting capability. This generator offers power that regulates the speed of the engine to exactly match the load and provides power that is cleaner than commercial power. It automatically prevents low oil engine damage, thereby preventing expensive repairs and reducing downtime. This unit offers easy portability, quiet operation, increased reliability, and improved efficiency. It will operate most 13,500 BTU convection/microwave ovens, RV air conditioners and the largest blow dryer. Yamaha generators have the lengthiest emission engine resilience ratings declared by the California Air Resources Board and the Environmental Protection Agency. This model has an aluminium die-cast frame joined with other weight saving measures and an aluminium TCI rotor to offer a compact and powerful generator that weighs only 75 pounds. Champion 75531i immediately stands out in comparison to other inverters reviewed by us thanks to its higher wattage. 3100 starting watts is indeed a quite impressive offering for an inverter. This generator does good job in filling the market gap between the typical inverters (who lack sufficient wattage to power larger appliances) and conventional portable generators (who are more bulky and certainly more noisy). Bear in mind though that 7553i owes the increased performance to its larger and heavier engine. You won’t find it as easy to carry from one place to another as 2000 watt inverters. Thankfully this model comes with the built-in wheels which make the logistics much less gruesome. The only minor downside is that this is not an optimal solution for the muddy terrain. Since there is little space between the wheels and the body of the generator, debris can easily get trapped in between. However, this is not a major nuisance. What we particularly like about this is generator is its good runtime and fuel efficiency. It can provide you with up to 8 hours of run time at 25% load. At the control panel is the Economy Control Switch, which will automatically lower the engine when it is not in use. Besides, the RPM features function automatically according to the size of the load minimizing engine wear. However, when working with heavier loads, the generator can become much louder. 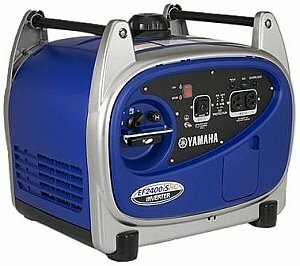 That’s where this particular portable inverter generator loses to some of its competitors such as Yamaha EF2400iSHC. Overall this is a highly rated unit. This model runs relatively quietly and has good runtime and fuel efficiency. It is fully EPA/CARB compliant. Though you may realize that this model will at times run loudly under some loads, the noise levels are still perfectly acceptable. Read more about Champion 75531il here. WEN 56180s is a CARB and EPA compliant quiet generator that permits operation in every state. 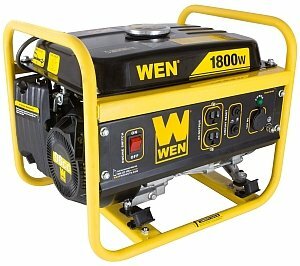 The generator offers 1800 starting and 1500 running watts that is enough for a variety of uses. It is compact and lightweight and can run for 7.5 hours at a 50 % load of 1.45 gallons of petroleum. It includes one cigarette lighter style twelve-volt DC outlet and two AC120 volt 12.5 three-prong outlets for the wall. The engine is protected from damage by the shutdown that occurs if the oil is low. The spark arrestor allows for use when camping in forests and national parks. Wen 56180s offers dependable power wherever it is needed and whenever it is needed. It is a good choice for tailgating, emergencies and job sites. Whether power is needed for a tailgate or an outage, WEN 56180s is a reasonable choice. Among all Generac generators, the Generac 6866 iQ2000 is probably my favourite one. While I’ve been under impression that this big American manufacturer has not invested much in adapting the new technologies in their generators, IQ2000 cleanly contradicts this. It is certainly a nice hi-tech offering. It is indeed quiet and clean. While it’s not the quietest portable on the market, it is still relatively noiseless. It is also very easy to use. The interface is simple and straight forward. You can easily find most of the vital settings as well as the fuel level read out on the dashboard. In addition you can easily open the engine compartment and fuel cap. 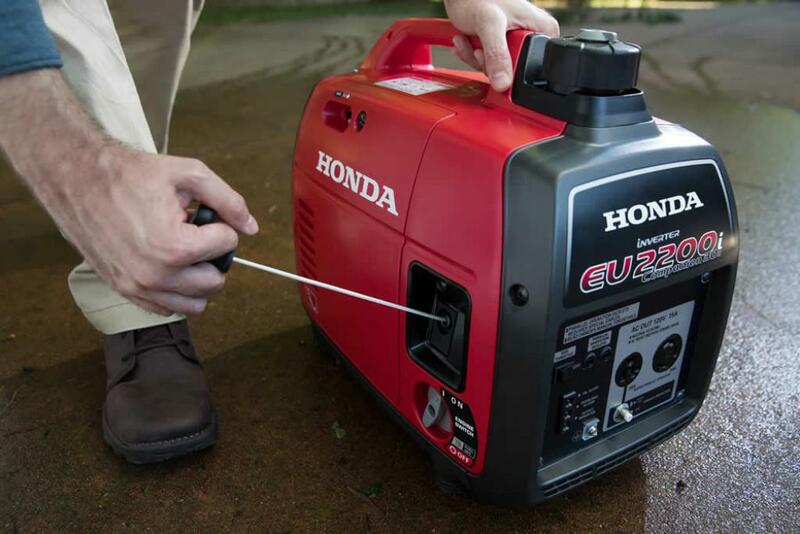 This makes refueling or repairing the generator quick, easy, and relatively clean. It’s also easy to start, usually requiring only one firm yank to get the engine purring. This portable power generator is perfect for you if you’re someone on the move, who’s going to value mobility and convenience over raw power output. It’s great for outdoor events and tail-gate parties but it can also work as home back-up. This is because it’s easy to store and can be pulled out for personal use or in case of emergencies. While it is by far the loudest generator reviewed in this buyer’s guide, I have decided to include it for two main reasons. First, after having a look at dozens of generators, I have yet to find a better one than this. It’s just such a great and versatile model that few others can truly rival it. 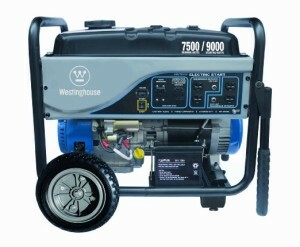 Secondly, and more importantly – Westinghouse WGen7500E is also definitely the quietest in its large wattage range. Hardly any other generator with such high power rating of more than 7000 wattage is as silent as this model. This is due to the fact that Westinghouse WGen7500E has a special Pulse-Flo muffler that keeps the noise level minimum while using the generator. The relatively quiet running of this generator therefore makes it perfect for urban, suburban and rural settings. 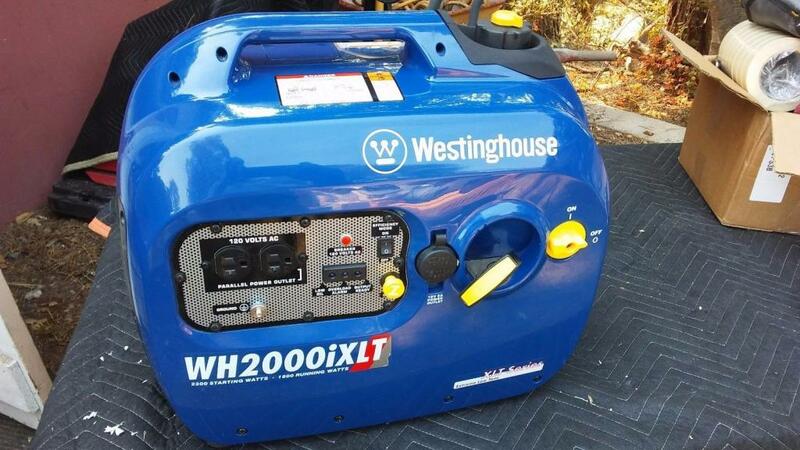 In general, Westinghouse WGen7500E is a great generator for most applications, perfectly fitted for a variety of uses. Although there might be some large houses and small RVs that will not fully cooperate well with this generator, the generator will work just fine in the vast majority of settings. The engine is powerful enough to give you what you need, and it uses a small amount of fuel when you run it. However, note that for smaller scale use such as camping or a small outdoor stall, this model will be simply too large and too loud. Inverter generators will be a much better choice. You can read more about this generator here. Why Should You Buy a Quiet Generator? The next reason is that your HOA or city may have an ordinance for the noise limit that a piece of equipment or anything can emit on your property. As a general rule the limit is 75 decibels. Anything above that level may get you a warning or a fine. Prolonged noise at a level higher than 75 decibels can also be a major nuisance for you and everyone around. If you are not in close proximity to your neighbors, then you might not have those restraints. It may be simply about keeping your home comfortable so that you can rest at night. However, if you are in need of a portable power supply that will run at night, a noisy generator can make sleeping very difficult. 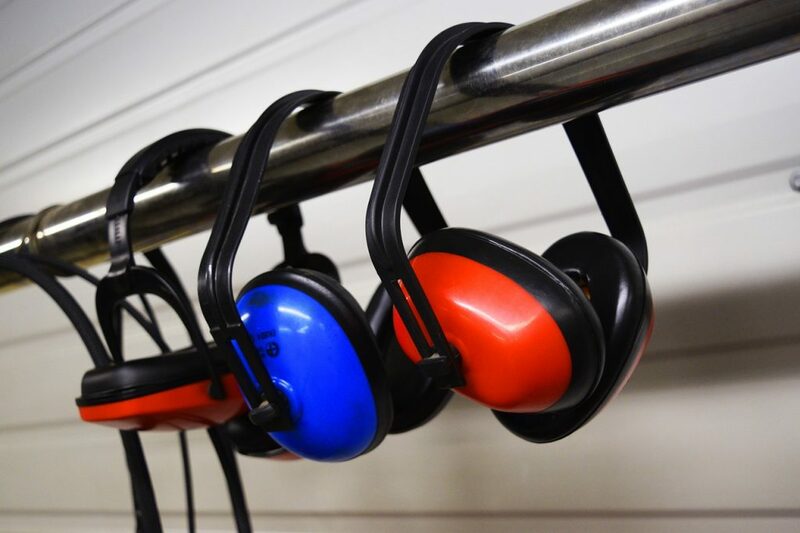 If you chose a silent device in the range of 50 decibels, then depending on its location, you may avoid having to listen to its constant noise. Camping is another reason to get a small quiet generator. It can provide the anonymity and the peace and tranquility you desire so much when in the wild. Nothing takes the fun out a camping trip more than having to yell to be heard. Running a loud generator in the middle of a nice forest camp is also just plain rude, isn’t it? Another factor is fuel efficiency. 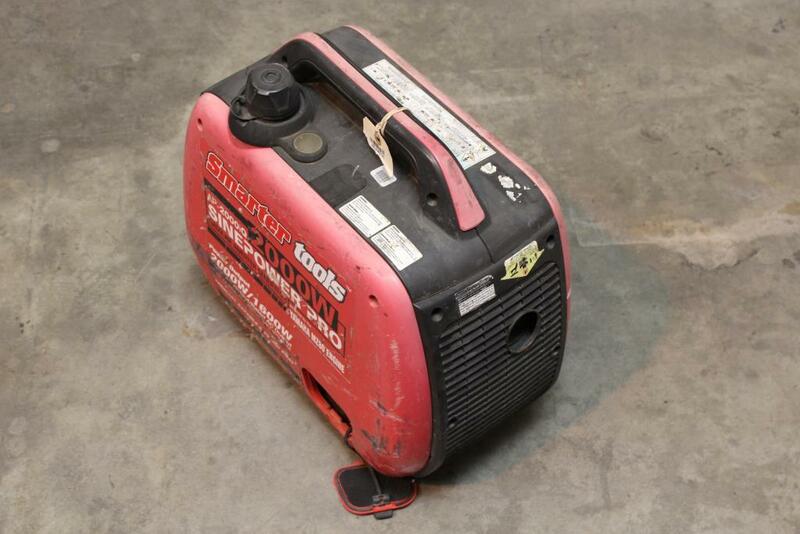 If a generator consumes a lot of fuel, you may want to consider another unit. Otherwise, you will waste a lot of money and energy packing additional gas. How To Find The Right Quiet Generator which Does Not Make Too Much Noise? Prior to purchasing a generator, think about what kind of setting you are going to use it for. This will also determine how silent a generator really has to be. In some cases, you might realize that you can get a slightly louder model but get much more wattage power. In other circumstances, you will have to accept less wattage in exchange for lower noise levels. Example: a person who is looking for a quiet inverter generator to power a large sized outdoor stall will probably tolerate higher noise levels in exchange for more disposable power available. On the other hand, a busker performing on their electric guitar will clearly steer towards the smaller quieter models which won’t hinder his performance with their noise. In such case even purchasing a solar generator can be a viable option. Conversely, higher decibel levels won’t be such a major concern in the busy construction site environment. But then the exact same generators can prove a real nuisance for homeowners or when used during a camping trip. Where are you going to use your generator? Generators serve a lot of various purposes. We can categorize them according to application or utilization. Companies use words like towable, standby, RV, PTO and recreational to explain different classes of generators. Towable – These powerful generators are usually utilized for events that are held outdoors where a lot of electricity is needed. These include construction sites, concert venues and carnivals. These generators often run on diesel fuel and are installed on a trailer that is capable of towing. Standby – created to supply reserve power for houses in times when your regular electric power resource is not working. RV – plenty of silent generators are especially designed to operate RV electrical devices and the equipment you use in an RV. A portable inverter generator is the best choice for this purpose as the portable inverter technology makes them particularly silent, simple to transport and easy to use. PTO – Power Take Off (PTO) generators work on farms where the tractor is the main resource for the device’s drive. The engine on the tractor turns a rod that is linked to a PTO generator to produce electricity. Recreational – used by those that are involved in recreation activities, campers, tailgaters, and RVers too. You will find many of them relatively easy to carry around and small. However, the bigger and bulkier types also exist. These can operate more energy consuming devices such as the air conditioner on a RV alongside other appliances at the same time. Power vs Noise Level – What Is Your Priority? The next thing you need to do is determine wattage needs. Decide how much electricity you need to operate the items that are necessary. You can use a simple calculator such as the one here. You will also need to purchase a transfer switch to power the circuits in your house. Next, you need to make a decision on whether you want it to be portable or standby. Your budget, power needs and convenience will all play a big role in choosing the generator that will meet your needs. Design and easiness of use – is it sturdy and reliable? Other things to consider may include how simple is it to operate and maintain the generator. One of the best questions to ask is how much noise does it make? Noise volume is communicated in decibels (db). The decibel is the unit used to measure the intensity of a sound. Zero db is the quietest sound that a healthy human ear can hear. Everything from there increases in three decibels, which represents a doubling of acoustic power or sound intensity. The ear has the extraordinary capability to manage a vast scope of sound levels. A logarithmic scale is used to communicate levels of sound in a meaningful way that is more convenient. We call it the decibel scale. The comparative loudness that is observed is a biased psychological occurrence that cannot be objectively gauged. Most of us identify one sound to be twice as noisy as another one when they are only about ten decibels apart. For example, a 60db AC will sound twice as loud as a 50 db refrigerator. However, the 10 db difference signifies a tenfold increase in the intensity. A 70db dishwasher will sound about four times as noisy as the 50 db refrigerator. However in terms of audio intensity, the noise it creates is 100 times as forceful! Also, the actual level of the noise of the generators can be different from the values specified by the manufacturers, depending on the load. Some of the models advertised as the quietest portable generators can actually be much noisier at higher loads. Any noise that is above 85db can lead to a loss of hearing. Being exposed to eight hours of sound at ninety decibels can damage your ears. Any exposure to noises at are above 140 db will cause immediate damage and physical pain. Additional considerations include services, installation, design features and price. Does the generator come with a maintenance bundle or a warranty? Does it include a funnel, wheels, oil and a power cord? You will also have to set your own budget. In any case, you will have to prepare at least a few hundred dollars for a good quality model. This is also another point at which you should calculate again how much wattage you really need. In most of the cases the more you need, the higher the price tag. You first need to determine which devices you want to plug in. Then you should add their combined wattage and see if its below the total wattage of the generator. Use this handy calculator to figure out how much wattage you need. IMPORTANT: make sure you compare both starting and running watts! Starting watts (also called “surge watts) determine how much energy a device consumes immediately after you turn it on. For many devices such as eg. microwave ovens, those two figures are exactly the same. Others, however, can have drastic differences. For example, a typical 10,000 BTU air conditioner will require approx. 2200 starting watts and 1500 running watts. This means you can safely use a generator like Honda EU2200i or Wen 56200i to power it. However, you won’t be able to power anything else. In all cases – check your application’s exact wattage as these may vary between manufacturers. You can usually find this information printed on the device tag. Can I power a whole house in an emergency using one of those quiet generators? No, it is not really possible. Most of the really quiet generators have the maximum running wattage of no more than 4000 watts which is definitely not enough to provide electricity for the whole house. Having said that, Westinghouse WGen7500 runs at 7500 watts and is still reasonably quiet (especially if you put it in an enclosure). It is probably as close as it gets to be a viable portable emergency power supply for a household. However, the most important question you should ask yourself is – do you really need all your household appliances to work in the event of let’s say a hurricane? Or perhaps just a few crucial ones such as refrigerators or medical equipment? For the purpose of powering only the most important devices the quiet inverter generators mentioned in this guide will do their job just fine. Champion 7553i is one such generator. It has 3100 running watts which is enough to power a refrigerator, a set of lights and a furnace fan. What size generator do I need for an RV? That depends on what exact devices you want to power. The single most consuming appliance will be probably your air conditioner. Then it is the refrigerator you certainly want to be powered on at all times. None of the small quiet generators will allow you to run these two simultaneously, let alone other devices. Therefore you need to be smart how you distribute your power. I would suggest Champion 7553i as a good choice for most of the RVs. Can I use a muffler to quiet a generator? Yes, using a muffler to further reduce the noise levels produced by a generator is definitely an option. 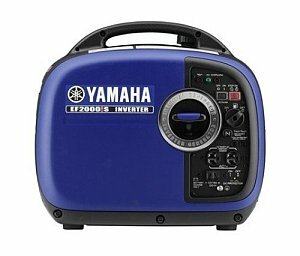 In fact, some generators mentioned in this guide such as Yamaha EF2000iSv2 already have built-in mufflers so there is no need to purchase one separately. Not all types of generators will also work well with the external mufflers. You should check it before buying one whether it will support an external muffler. Having said that I honestly think that a better one size fits all solution is to get a dedicated enclosure. This is the most efficient way to quiet down a generator. If you’re more into DIY and want to save yourself a few bucks you can definitely build an enclosure yourself. 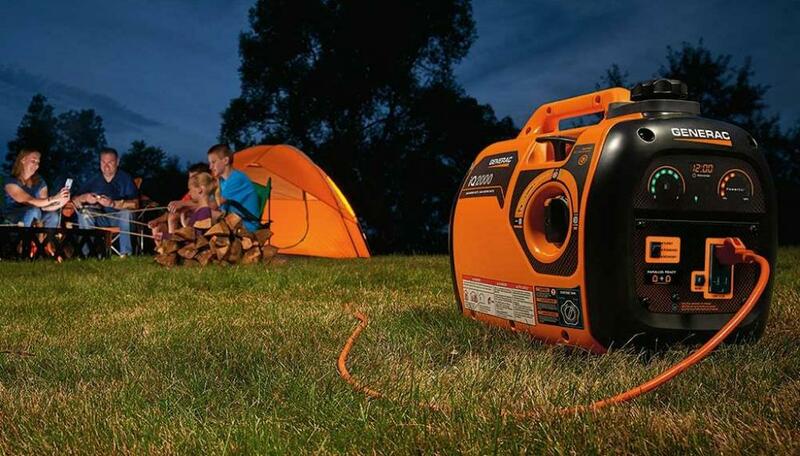 Are those generators quiet enough to use at official campgrounds? If a specific campground has got it written on the list of its rules that no generators are allowed at all times – then nope, no matter how quiet yours is – you can’t use one there. However, most of the federal campgrounds stick to a general rule that generators below 59 decibels are allowed to operate during the so-called “non-quiet” times (which is usually before 10 PM). You can also consider getting a portable solar generator. Those generators are noiseless and powerful enough to provide electricity for smaller electronics such as laptops, cameras, phones, and camping lights. In any case – check the individual rules of each campground and make sure you do whatever you can to minimize the disruption caused to your neighbors! Honda is too expensive… are there any good cheap alternatives? Even though I really believe Honda it’s totally worth its price and can be a perfect long term investment, I understand your hesitations. All in all its definitely not cheap and if you only plan to use your generator sporadically, you have all reasons to doubt whether you should really spend so much. I would say WEN 56200i is the best low-cost alternative. It is super quiet, well built and much cheaper than Honda’s inverters. 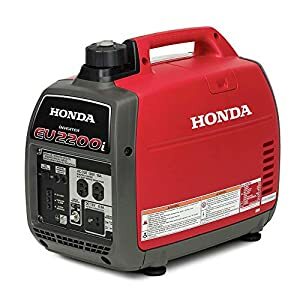 This is the generator I would buy if I didn’t want to go for a Honda. The fact that this is a generator made by a Chinese company shouldn’t deter you. Although WEN lacks the reputation of Yamaha or Honda, it is an already well-established name in the industry. They make quality tools and electric devices for a fraction of the price of their American or Japanese competitors. Their generators are no exception. Do I need to ground a generator? It certainly won’t harm to ground a generator to give yourself additional peace of mind. However, in the case of modern inverter generators, this is not really a necessity. You can safely use them without grounding. Are the generators made in China any good? Depends on the model but generally speaking – yes. In fact, some of the more expensive models from manufacturers like Yamaha are also assembled in Chinese factories. 100% made in China generators usually have the engines which are either made under Honda’s or Yamaha’s license. One such example is Smarter Tools 2000iQ. Therefore what you get is basically the same kind of hardware but with the lesser price tag and probably a few minor elements of lower quality (eg. plastic finishing here and there instead of iron coating etc.). How long will my generator last for? This depends on two factors. First, some units are more fuel efficient and others. This basically means that they consume less gas allowing them to last longer on a single refuel. They achieve it thanks to various hi-tech solutions which adjust the engine work according to the current electricity consumption. Honda EU2200i is an example of one such generator which does it. Second, it depends on how many devices you plug into a generator. Most of the manufacturers advertise the run time of a generator at 25% load. However, if you decide to plug in an appliance which consumes nearly all available running wattage, the generator will be running at almost 100% load and consume much more fuel. To give you rough estimates – on average you can expect a typical inverter generator to last for 6-8 hours. Are those generators good for indoor use? No, this is absolutely not recommended and can be potentially dangerous. Even though modern inverter generators produce the so-called “clean energy”, this does not mean they are clean enough to run in your room. Clean energy only refers to the Total Harmonic Distortion (THD) produced by them and how does it affect the safety of sensitive electronics such as laptops. This has nothing to do with how do they affect human lungs. They still use the exact same fossil fuels such as gasoline or diesel and produce the potentially toxic fumes. While these are not a major cause for concern outside, they can be poisonous when used indoors. If for whatever reason you need a generator to be used indoors, go for the portable solar generators. Those are 100% clean. I believe everyone is quite familiar with the importance of generators, both portable and standby models. However, if you are still in doubt whether you really need on, in this section I will solve this dilemma for you by highlighting the 7 top reasons to get a quiet portable generator. You perhaps regard this factor as the first and the most important reason to get a portable generator. Unlike the old-fashioned standby models, portable generators can easily be moved from one place to the other without much effort. They can be stored in a safe place and retrieved immediately when needed. 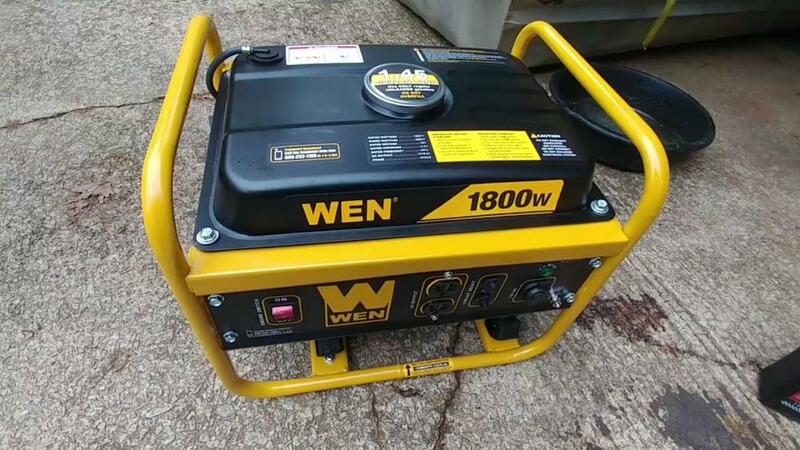 You can easily load the portable generator into your car or even carry it in your hands (as it is the case with most of the small portable inverter generators). Standby generators do not offer such flexibility. A quiet generator can be a great emergency power backup for businesses which absolutely rely on 24/7 electricity supply. Businesses and offices that rely on the use of computers, internet, and other electronic apparatus are the ones that can highly benefit from having these quiet generators. Butcheries, homes, grocery shops are examples of places that should really have a generator as a backup power source due in order to power the refrigerators and keep foodstuffs fresh. Health care providers such as dispensaries, hospitals, and clinics should also come prepared as they might have life-saving machines and drug freezers that need to be running 24/7. Anyone living in places that experience harsh and severe climates is strongly advised to get a portable generator. These areas that experience cold winters or hurricanes devastations tend to experience blackouts most of the times that Mother Nature decides to flex her powers. Excellent examples are the Hurricanes Matthew and Irma or the tropical storm Cindy that devastated massive parts of the US. Electric lines and power stations were destroyed too leaving most of the Southern Eastern part of the United States in darkness. In such situations, having an emergency supply such as a portable generator can be a truly invaluable investment. This is where a proper quiet generator can truly prove to be extremely useful. In the old days, going for camping trips meant that people would have to spend time in darkness sitting tightly around a warm campfire and that was it. The tents would either be completely dark or lighted by battery powered lanterns. Nowadays things are much easier as we now have small quiet portable generators that people can take with them on the camping trips. The ready availability of electricity means that you can use things like portable cookers to use at your trips. A well-lighted campsite is also an added advantage in keeping away forest animals and predators. When going camping, your best bet is to invest in an inverter generator as they are by far the quietest and most portable types. Many of the modern quiet generators offer some extremely useful technological advancements. For example, they can automatically detect the number of devices that they are serving and proportionally adjust their workload and fuel usage so that you don’t waste too much gas on in the idle state. Inverter generators also provide the so-called “clean energy” meaning that they can be safely used for powering up your sensitive electronics such as laptops. The same as with camping sites, quiet portable generators also make a very handy addition to your RV. Let’s be honest – staying in a hot RV without the working air conditioner is a true nightmare. A quiet generator can help you power up your AC without disturbing your neighbors with the noise. A typical modern inverter generator such as Champion 75531i is very easy to transport meaning that you won’t have to worry about the logistics. What’s more, if you need more power, you can connect one inverter generator to another one, doubling their total output! IMPORTANT: Make sure that both generators have the same wattage or even better – are the exact same models. Plugging a less powerful into the one with higher wattage sadly is not going to work. How much energy (and $$$) do your household items consume? Have you ever wondered what makes your electricity bill so high? Sure, some states charge their residents more than others and it might sound easy to simply blame the local authorities for your high expenses. However the truth is that the easiest way to overspend on electricity bills is to simply forget to turn off your home devices once in a while. There are a few types of devices which consume particularly high amounts of energy. Therefore these are the ones which also pose the real challenge for your portable generator, should you wish to plug them into one. They are thus “a bit” unfriendly both to the environment and your wallet too.